Had Mr. Mahinda Rajapaksa not contested the general election to be elected a Parliamentarian after his defeat at the presidential election, everyone in Mahinda faction at present would have become MPs and ministers of the yahapalana government says Mr. Wimal Weerawansa. He said this at a meeting of the Mahinda faction held yesterday (10th). 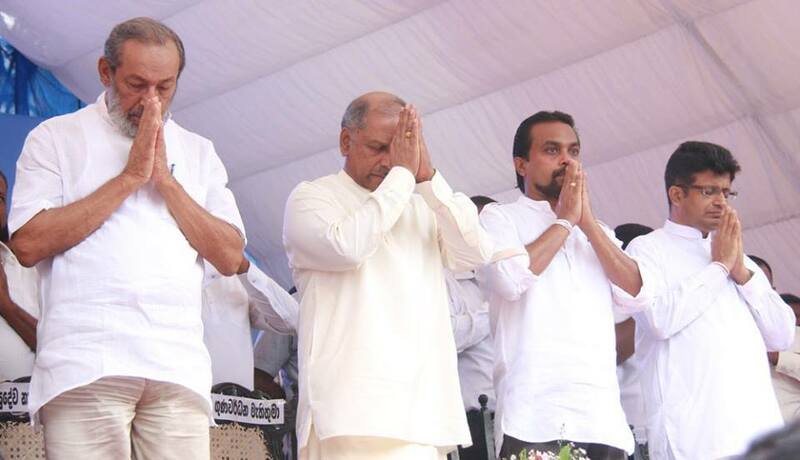 Political analysts speaking about this statement state the likes of Wimal Weerawansa and Gammanpila came to Parliament with the blessings of Mr. Mahinda Rajapaksa and many who were with Mr. Mahinda Rajapaksa are at present in the Maithri – Ranil government. They say if not for Mr. Mahinda Rajapaksa individuals like Wimal Weerawansa, Gammanpila and the likes would not be in Parliament at present.